Miele Classic C1 HomeCare PowerLine - SBAN0 Canister vacuum cleaners with electrobrush for best cleaning of low-medium carpeting. High suction power – 1,200 W Optimum carpet care - electrobrush for intensive deep cleaning Adjustable working height – Stainless steel telescopic wand Effortless vacuuming of large areas w/ 29.5 ft operating radius. Miele Classic C1 HomeCare PowerLine - SBAN0. The Miele Classic C1 HomeCare Canister Vacuum is Made in Germany and is epitome of German Engineered machinery, Built and Tested to last. 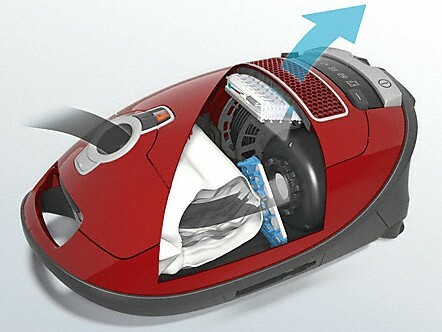 The Miele Classic C1 HomeCare Canister Vacuum gives you the ability to clean everything in your home. From Wall-to-Wall Carpet to Wood Floors to Drapes, It cleans it all. 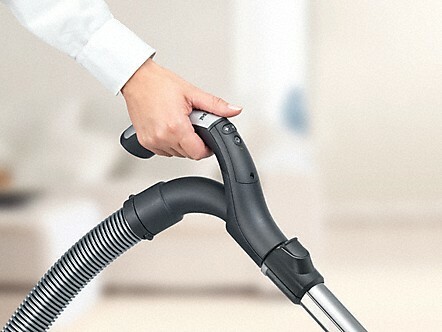 The Miele Classic C1 HomeCare Canister Vacuum can shut the brush roller off to clean your bare floors and with 5 different height adjustments you can clean any height carpet. It also comes with a combination brush to switch from cleaning your bare floors to area rugs for routine cleaning. 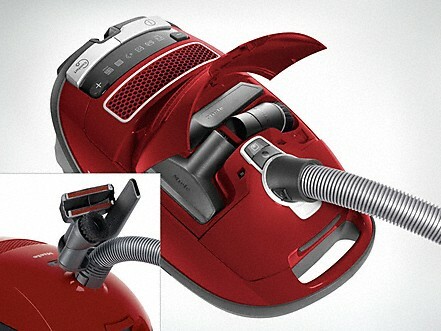 You can easily change the suction of the vacuum with the rotary dial on the top of the vacuum. Miele vacuum cleaners' exceptional filtration is based on a multi-stage system. It consists of the innovative Miele HyClean dustbag, motor protection filter and Miele exhaust filter. The interaction of these components ensures that more than 99.9% of fine dust2 is filtered. You can breathe with ease! Floorhead, Telescopic Suction Wand and handle lock into each other with an acoustic fit. The parts all connect securely but can be easily disengaged at the touch of a button, for instance for attaching a different accessory. 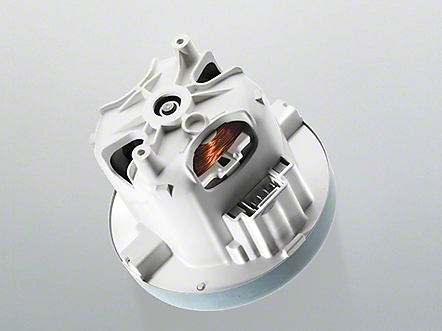 Reduced-noise motor and integrated sound insulation make Miele vacuum cleaners pleasantly quiet. 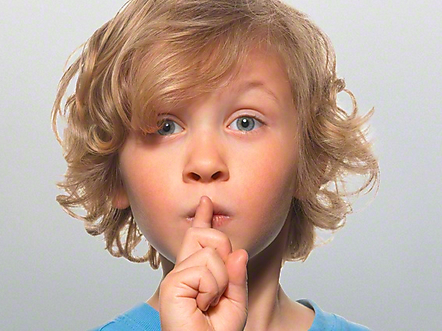 The silence level achieves the lowest possible noise level with good cleaning performance. Miele has developed many clever technical features to make floor care as easy as possible for you. 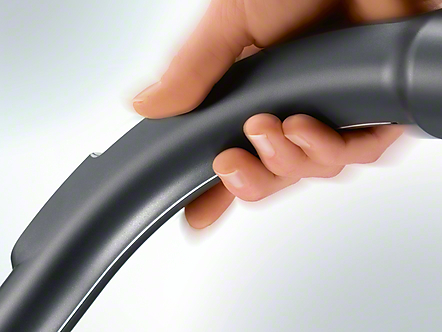 For instance the convenient handle controls that enable you to regulate suction power at the touch of a finger. Without inconvenient stooping. Quality is Miele's highest priority. From conception to finished appliance. 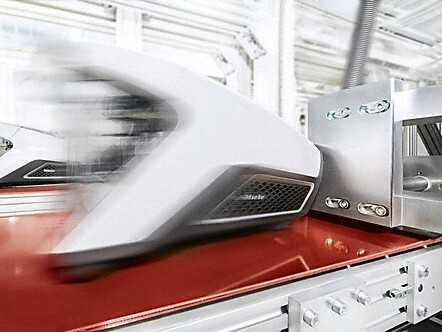 Miele vacuum cleaners are developed and manufactured exclusively in company-owned plants. At the end of the manufacturing process, each individual vacuum cleaner is subject to comprehensive testing one more time. This care and attention results in exceptional quality and a long service life for Miele products. 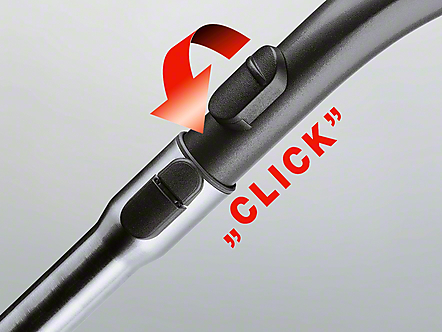 All Miele vacuum cleaners have a small metal strip integrated into the handle, which works like a lightning conductor. This prevents static discharge between appliance and user.